HomeApartment LivingWhat if Your Apartment has Ebola? 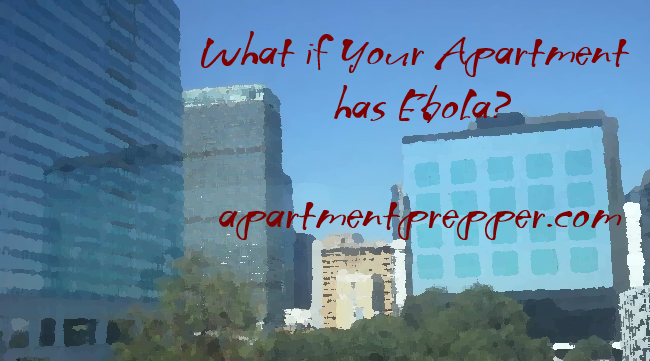 What if Your Apartment has Ebola? There are still a lot of worries about the Ebola virus right now, with the latest one being the doctor in NYC who tested positive for the virus after having returned from treating patients in Guinea. Before being diagnosed, he visited a coffee stand, a restaurant, took three subway lines, ran in a park and went to a bowling alley. Officials are saying these places have been cleared and are safe. It was mentioned in the news his apartment units had to be locked down. Similarly, the other patients in Dallas also lived in apartments and their units were disinfected by teams in hazmat suits. I can only imagine what the neighbors must have felt as they witnessed the heavily suited teams, or getting a phone call such as the one described in “Hello. Your Neighbor Has Ebola.” The neighbors received flyers providing information about Ebola and risks of contracting it. Assurances were given that their neighborhoods are safe. I am seeing a lot of nervous comments on social media, and see a lot of people searching for what to do if about Ebola comes to their towns. 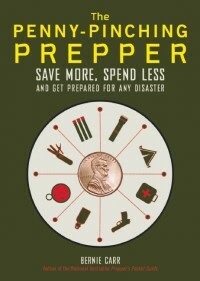 Since I write about apartment prepper issues, I would be remiss if I didn’t at least discuss the possibility. What if your apartment has an Ebola victim? First of all you need to be observant and aware of what’s going on in your immediate vicinity. If an area is cordoned off, don’t jump to conclusions that it’s Ebola. It could be just a normal activity such as a spill or repairs being done. However, if you see hazmat suited individuals, you will know something is going on. Read information left on your doorstep – a lot of people throw them away without even reading. We’ve all heard the way to contract the disease is through contact with bodily fluids, and how the virus is not airborne. I am not telling anyone to panic – that would be counterproductive. But if you just have a twinge of concern that what you are touching may have germs, then keep reading. Be careful what you touch in all common areas such as the gym, business office, club rooms, vending machine room, coffee room. If you must visit these areas, avoid coming into contact with surfaces where germs may live. If you are extra worried, wear disposable gloves when touching any surfaces such as doorknobs, elevator buttons, light switches, gym equipment etc. If you find yourself without gloves, use a thick paper towel or several paper towels when flushing the toilet, turning on faucets, lights or opening doors. Do not touch your eyes, face, mouth or nose with you gloved hands, or even with your own hands unless you have thoroughly washed or disinfected your hands. · When removing disposable gloves remove them without your skin coming into contact with the outside of the gloves. After removing the gloves, wash your hands with soap and water as soon as possible. These are reasonable steps that don’t go overboard – at the very least you will also protect yourself from germs such as the common cold, flu etc. Can you catch Ebola from using the swimming pool? Chlorine bleach is used to sanitize surfaces in hospitals, and chlorine is present in pools. According to a pool website, as long as your pool has chlorine bromine levels in the 1.5ppm-3ppm level there would be no way to ever catch Ebola from being in a pool. Of course your pool would need to be well-maintained at the proper levels to be certain it is within this guideline. I would suggest avoid sitting down on the pool deck, patio chairs and using outside barbecue facilities until you know everything has been disinfected. You should bring your own folding chair if you wanted to sit by the pool. And I can’t stress it enough: Always wash your hands thoroughly with soap and water and use disinfecting solutions. What if someone vomits outside? The most simple thing to do is avoid the area of the vomit. Do not let your kids play near there, and do not walk your dog in that area. Vomit from an Ebola patient is highly contagious and contact with any fluids must be avoided. If someone else stepped on it, they would track the germs with them. A good way to avoid bringing germs inside is to take your shoes off before entering your home. Wear sandals or flip flops that are strictly for inside your home. When I lived in Hawaii many years ago, I noticed that most households practiced leaving shoes out in the porch. I thought it is a good way to keep your home clean. Every apartment has a dumpster area where all the tenants throw out their trash. If using the dumpster, wear disposable gloves and don’t forget to throw out the gloves after one use. Do not reuse these gloves or and remember not to touch anything else especially your own face, nose, eyes, mouth or skin. At this point in time, both of the nurses from Dallas have recovered. The lab worker who self-quarantined in the cruise ship turned out to be negative for the virus. So there have been some good news. There is one patient in NYC, and we are keeping our fingers crossed no one else gets infected. As I mentioned in What would do if Ebola were to spread in your city you will need to decide for yourself and your family at what point you would go on lockdown or leave for a few days. Stay informed about any developments and be discerning about whom to believe. We pray this passes soon and no other new cases pop up. 4 Comments on What if Your Apartment has Ebola? Hi Petunia, Good one- many buildings have common laundry areas as well. Best bring wipes while using those areas as well. Thanks for the comment! Bill, Glad nothing else happened in Dallas. As of this writing however, there are still people in quarantine in NYC, and a couple of other states. We always advise against doing anything drastic, but if people are wondering about something, it is best to address it.